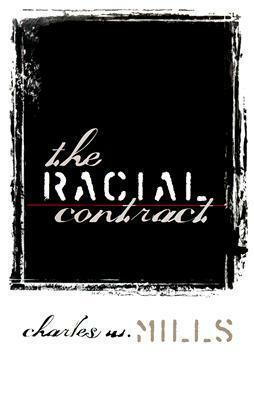 Given how much my work focuses on the relationship between race and space, I loved it when this appeared in Charles Mills’ theorisation of the Racial Contract. There is so much here to unpack — this connection between our perceptions of a person and the place they are from. We all know how we judge and are judged. For many, it is a constant battle to escape the violence of such judgments, rooted in a dark and violent past. Rooted in Colonialism, conquest, genocide. Conquest is necessarily a struggle over land and geography, and demands a spatial understanding of the world. The understanding created through years of colonialism was one of Europe as civilised, deserving to conquer (because if it didn’t advance it would surely be forced to retreat before brutal hordes) the rest of the savage world. You see, we live with these divisions still. Part of the purpose of the color line/apartheid/jim crow is to maintain these spaces in their place, to have the checkerboard of virtue and vice, light and dark space, ours and theirs, clearly demarcated so that the human geography prescribed by the Racial Contract can be preserved. Over and over again in racist texts is this idea of America as white, of citizens as white. Whites fought to defend this idea, and to live amongst their own (See Sugrue, Hirsch, Meyer and so many more). Jesus. I thought I was getting to old and well-read for those moments when things you thought you knew give a great shake and fall. This reminds me so much of Stuart Hall’s continual focus on the ‘work’ that racism is currently performing at any conjuncture — the importance of understanding how things shift and change to help those in power and privilege maintain that power and privilege. Two ways of theorising the same insight. In the first period, the period of de jure white supremacy, the Racial Contract was explicit, the characteristic instantiations — the expropriation contract, the slave contract, the colonial contract– making it clear that whites were the privileged race and the egalitarian social contract applied only to them. This reminds me of the silences written about by Trouillot. These periodisations have been noted by Manning Marable, Michelle Alexander, Cornel West and others. These things seem so obvious, depending on where you stand. To bring it back more fully to space, to geography, we leave the sphere of the nation and the body to look at the globe as a whole. Out of sight, out of mind and protection from knowledge of spatial exploitation becomes just another privilege enjoyed by those in the privileged spaces of the privileged nations. So much here, such a short book.